What part did the occult play in the Second World War? It has often been suggested that witches and occultists were recruited by the British government to wage war on Hitler’s (inevitably black) magicians; or that they took it upon themselves to do their patriotic duty by waging war on the astral plane and by casting spells. The occult certainly had a major role in the rise of Nazism and the perpetuation of Nazi ideology after the war had ended. Nicholas Goodrick-Clarke has explored this phenomenon in two excellent books – The Occult Roots of Nazism: Secret Aryan Cults and their Influence on Nazi Ideology (2nd edition, Tauris Parke Paperbacks, London 2004) and Black Sun: Aryan Cults, Esoteric Nazism and the Politics of Identity (New York University Press 2002). These works show conclusively that, whatever Adolf Hitler’s personal beliefs might have been – and those who dismiss the part played by occultism invariably focus on Hitler and lose sight of the cultural milieu in which he was propelled to power – Germanic (or ‘Aryan’) occultism was a major factor in establishing the Völkisch movement that gave rise to much of the symbolism and imagery of Nazism. Only two words are needed to demonstrate the truth of that: Ahnenerbe and Himmler. I don’t know if there is any truth at all in the idea that the authorities in Great Britain utilised witches, magicians and psychics to fight the war on a spiritual level. People like Gerald Gardner and Dion Fortune claimed it was so; but they were practising occultists and, to be frank, not entirely reliable historians of their own lives. Ian Fleming, creator of James Bond and a member of Naval Intelligence, wanted to influence Nazi decisions with fake horoscopes; and Dennis Wheatley imagined an occult war in his 1941 novel Strange Conflict. There’s some evidence that the British made use of Aleister Crowley as a secret agent and influencer of occult opinion (Richard B. Spence, Secret Agent 666: Aleister Crowley, British Intelligence and the Occult, Feral House, Port Townsend WA 2008) but it’s mostly circumstantial. Winston Churchill was a champion of the laterally-thinking boffins and maverick innovators responsible for key military projects, but as far as I am aware he never considered using psychics or witches to beef up the nation’s defences. That doesn’t mean it never happened, of course – absence of evidence is not evidence of absence. If it did I would have thought that after nearly 70 years something would have emerged. But it’s a fact that the US military tried to make use of supposed paranormal abilities to gain an edge in the Cold War, and it’s just as true that the Soviet Union did the same. Why not Great Britain, and why not in the war against the Nazis? I have no opinion one way or the other. My sole interest has been to use the idea to create the Yellow Room, which features in my interlinked Havensea and Wonderland Investigations novels. I wanted a semi-autonomous, quasi-governmental organisation with a moral compass, a counterpoint to the fascistic, self-interested nature of many governmental security agencies. 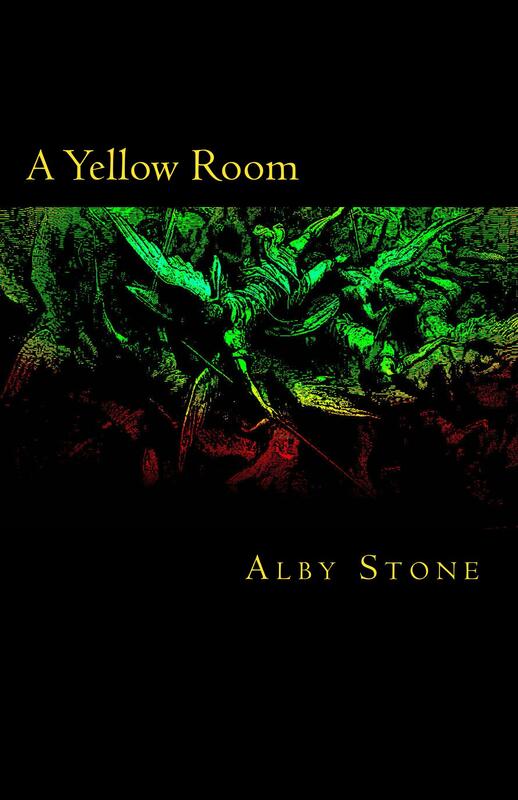 For me that meant locating the Yellow Room’s origins in an authentic fight against an appalling ideology, and giving it a continuity of conscience and purpose beyond any party politics or policy. 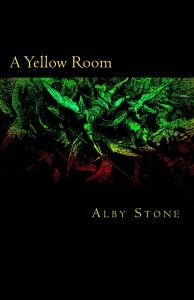 The Yellow Room Adventures are about its origins and formative years. There are no spoilers as such for the books, though anyone reading these short pieces first and my novels later may look back and say ‘Aha!’ once or twice. They are basically me having a lot of fun mixing real history with weird fiction – but they have a serious point. For instance, one of the recurring themes is the Yellow Room’s mistrust of government in general, the military and intelligence services in particular, and politicians as a breed. Political pragmatism caused many British politicians’ fascist leanings and antisemitism to conveniently evaporate when the Second World War broke out – Churchill himself was once noted for his antisemitic views, and we should not forget the popularity of Oswald Mosley among elected politicians of all parties, or the disgraceful antisemitism of the Nazi-sympathising Right Club, which will forever be a stain on the history of the Conservatives. And it was politicians and generals who decided to make the conflict a war against civilians by bombing cities, a policy that resulted in the destruction of Coventry and Dresden, culminating in what happened to Hiroshima and Nagasaki. 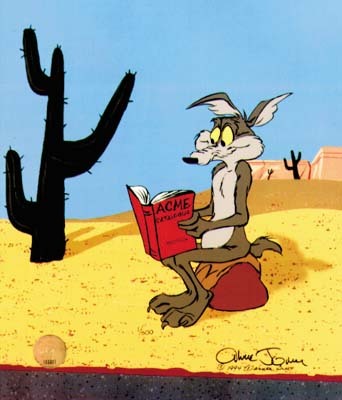 Other themes will become apparent as the reader continues, should they be so inclined. Although the Yellow Room Adventures are built around a skeleton of real historical events and real people, they are fiction. I stretch points, make connections that would make a reputable historian reach for the smelling salts, and generally let my imagination run riot. There are seven Yellow Room stories, forming an episodic narrative stretching from 1940 to 1946. These stories are directly relevant to my Havensea and Wonderland Investigations books, providing part of the fictional historical background for both series. They have now been collected and published as a paperback or e-book for Kindle. Another story, the novella Third Sight, brings the Yellow Room into the 1950s. Two related novels are in preparation. London, 1940. With the country in disarray after the retreat from Dunkirk, desperate for any kind of advantage against an implacable and well-organised enemy, Winston Churchill sanctions the creation of a special unit separate from the military and intelligence services. The Yellow Room, named for the single chamber it occupies in the War Office, is so secret that only a handful of people know what it really does. Staffed by the old, the disabled and the damaged, armed only with their minds and arcane knowledge, the Yellow Room fights the Nazis on a strange front somewhere between espionage and the imagination, between magic and science. But the war drags on and principles are compromised in the quest for victory. And Anthony Crane, the Yellow Room’s leader, refuses to compromise.